If you have a 7+ reader in your house who devoured David Walliams’ book, The Ice, over Christmas, then you’re in luck as there is already another David Walliams book on its way! On 22 February Fing will be landing in our bookshops and libraries. A delightfully daft story with laugh-out-loud Walliams fun on every page, it is the perfect introduction for newbies to Walliams and a perfect treat for his legions of existing fans. Fingdovetails seamlessly with The World’s Worst Children short stories and his longer novels. Meet the Meeks. Librarians Mr and Mrs Meek will do anything to keep their darling daughter, Myrtle Meek, happy. Myrtle has everything a child could possibly want. But everything isn’t enough. She wants more, more, more! When Myrtle declares that she wants a FING, there’s only one problem… WHAT IS A FING? In a hilarious quest that takes Mr and Mrs Meek from the forbidden vaults of the library, through the pages of a mysterious book called The Monsterpaedia and to the farthest corners of the jungle – there are laughs aplenty in this explosively funny and unforgettable tale. But will they ever find a FING…? You can’t go wrong with a David Walliams book – The Ice Monster is still on the Australian Kids Weekly Top 10 Bestseller list and his other titles are equally popular, including Bad Dad and The World’s Worst Children #2 that made our Better Reading Kids Top 50 list last year. 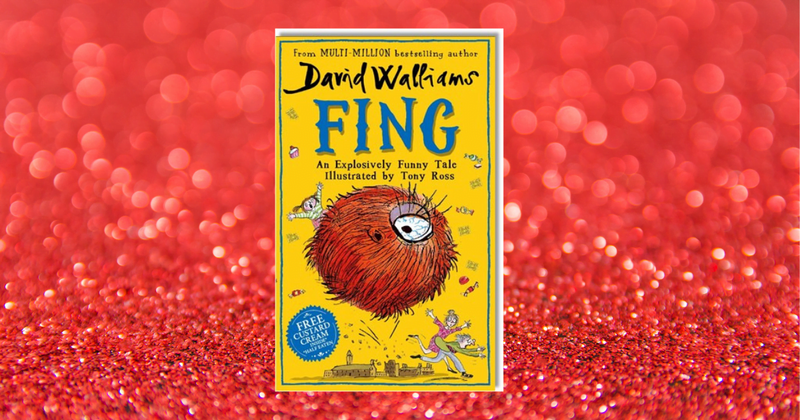 David Walliams has become one of today’s most influential writers, dominating the industry charts and changing the shape of the book retail landscape. Since the publication of his first novel, The Boy in the Dress (2008), illustrated by the iconic Sir Quentin Blake, David Walliams has celebrated more than ten years of unprecedented growth with global sales exceeding twenty-nine million copies, and his books have been translated into fifty-three languages. David’s titles have spent 138 weeks (non-consecutive) at the top of the children’s charts – more than any other children’s author ever. 2018 was yet another extraordinary milestone in the Walliams story. He closed 2018 as the UK’s biggest-selling author for the second year running. Collectively, he held the industry Number-one spot for eight weeks of the year and the children’s Number-one spot for twenty-six weeks. His previous novel The Ice Monster, published in November 2018, and has sold 646k copies to date. Fing is David’s twelfth novel. In addition to his fiction, David has worked with Tony Ross on six picture books as well as three bestselling short-story collections, The World’s Worst Children.